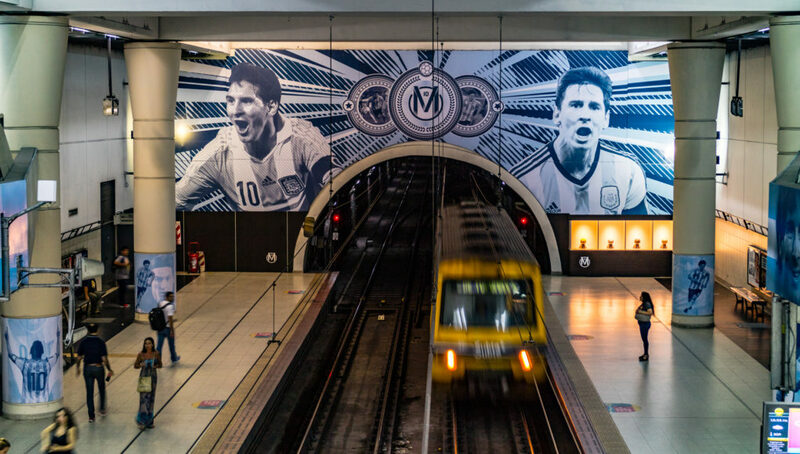 The Jose Hernandez Subte station in Buenos Aires has been redecorated to honor Lionel Messi. Everywhere you look in the Jose Hernandez station, you see more Leo. The city of Buenos Aires, Argentina, loves Lionel Messi so much that they have dedicated one of their subway stations to him. The Jose Hernandez station of Buenos Aires’ Subte subway system has been completely redecorated to honor the soccer legend. 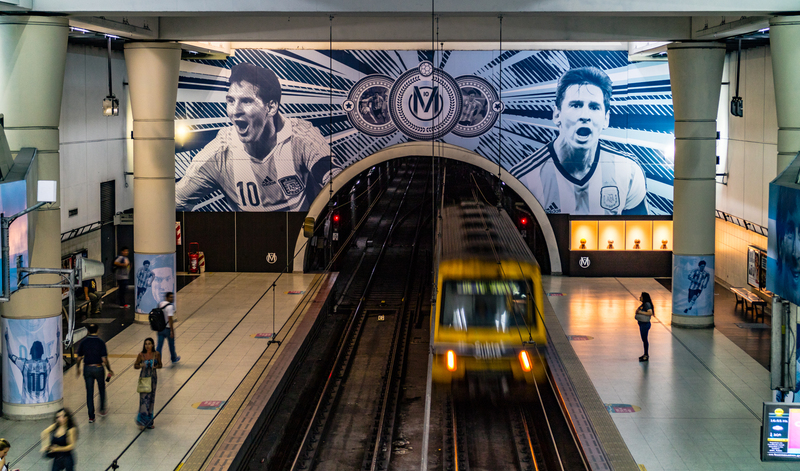 Most of the available surface areas of the station have been decorated with Argentina blue and images of Messi in action. The coolest feature is a display/sculpture created by Leandro Silvo, which turns into a portrait of Messi when you look at it from a particular position in the station. Standing near one of the ticket kiosks, this display shows several small sculptures showing various stages of the life of Leo Messi. One of the representations of his life depicts him being sidelined by a physical condition that prevented him from playing soccer for a time during his adolescence. If you look closely, you can pick out parts of the sculpture that will feature prominently in the complete image. As you move around the piece, you can get a hint of what you’re going be able to see. Then, if you go to a marked spot in the station and look back at the sculpture . . .
…there he is; the individual pieces of the sculpture show his face when viewed from that one spot.